Eat. Move. Sleep. Extraordinary health is that simple. I'll show you how. This blueberry coconut chia pudding is a simple, healthy treat you can feel good about eating. Whisk together coconut milk, chia seeds, honey, salt and extracts in a mixing bowl. Cover with plastic wrap and refrigerate for ~3 hours. 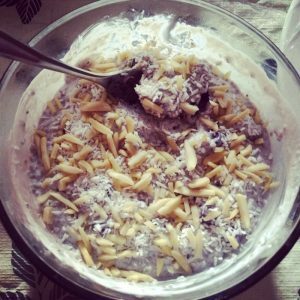 Once thickened, spoon into serving bowls and top with blueberries, shredded coconut and other optional toppings if desired.